On Friday, October 12th 2018 we celebrated our HARVEST FESTIVAL. As it is a tradition in the English Playschool all children and kindergarten teachers wore Austrian costume (= Tracht) or a festive outfit. We had a lovely time together and especially the performances of each group were an absolute highlight. 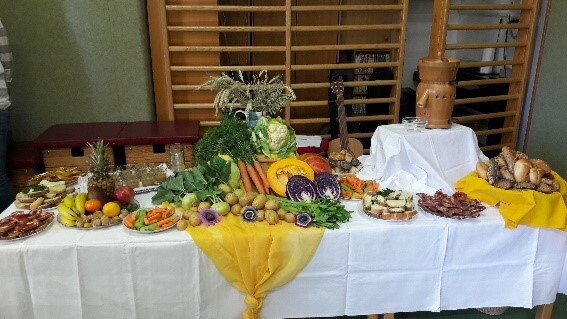 Last but not least we got to enjoy a great variety of bread, fruit & vegetables from our “Harvest Buffet” (see photo). Erkundigen Sie sich nach unseren Betreuungsprogrammen, Tarifen etc.